As one of the fastest growing states in America, Utah is on track to double its population by 2050. 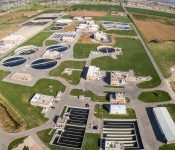 With increasing demands for wastewater infrastructure to support this growth, several of the North Davis Sewer District’s (the District) biosolids treatment processes were operating at or over capacity. In addition to the critical capacity upgrades needed, obsolete equipment was impeding efficient operations. In 2010, the District hired Brown and Caldwell to complete a Biosolids Master Plan, which included recommendations to handle projected future solids production, increase capacity, and significantly increase energy efficiency. Brown and Caldwell was rehired in 2012 to bring its recommendations to life through a $58 million capital improvement project. 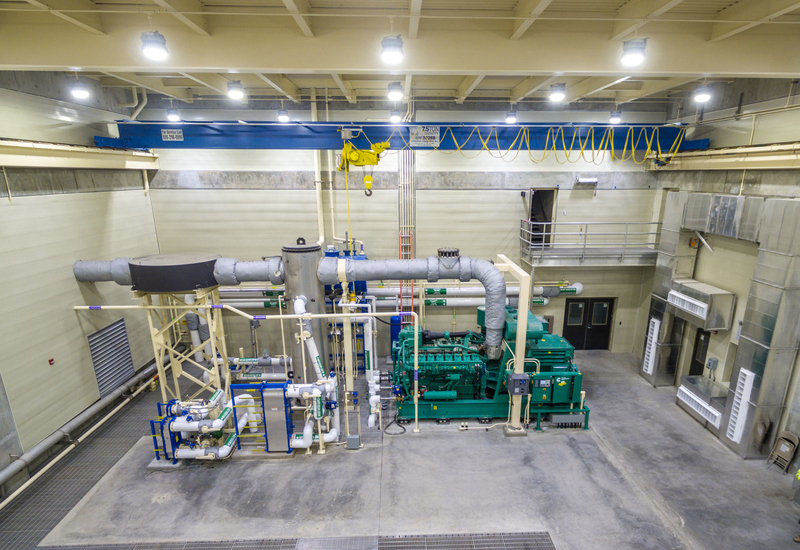 The three-phase project expanded capacity and achieved the District’s goals to harness and generate power and heat with a new cogeneration facility. When it came time to choose a delivery method, the District wanted a team that was qualified, offered a single point of responsibility for design and construction, would provide high- quality workmanship, and would collaborate throughout. The District was ultimately drawn to the progressive design-build delivery method to achieve these objectives. Tight collaboration with the District was critical to designing around their specific preferences for equipment selection, configuration, control, and functionality. 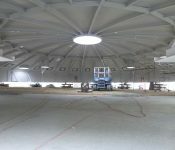 Brown and Caldwell also performed open book and transparent guaranteed maximum price negotiations, enabling the District to have an earlier understanding of construction costs, along with greater control over scope and equipment selection. 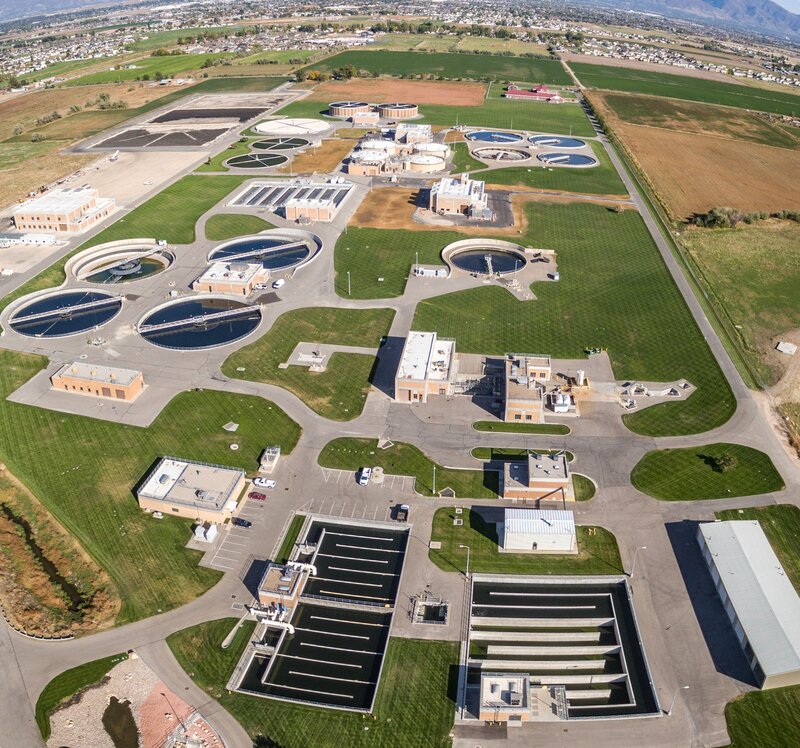 Based on relevant qualifications and strong relationships established during the delivery of the Biosolids Master Plan, Brown and Caldwell was chosen as the progressive design-builder. Phase 1 – Secondary Digester Mixers: This phase expanded the current digestion process capacity by converting unmixed and unheated secondary digesters to mixed mesophilic digesters by adding draft tube mixing and heating. 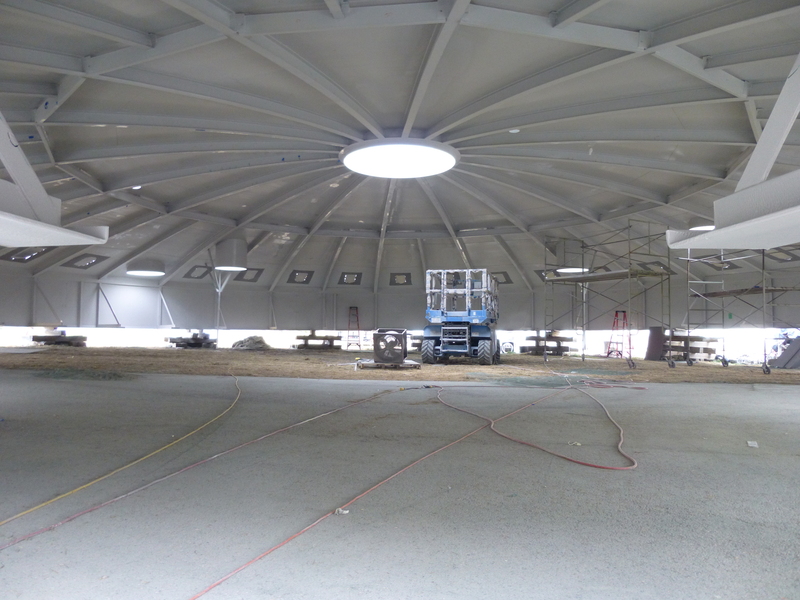 By conducting structural analysis and a condition assessment of existing digesters, the team was able to reuse the existing secondary digester tanks and covers, saving $8 million in capital costs. 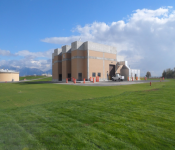 Phase 2 – Primary Sludge Thickening: The second phase included the construction of a new 15,000-square-foot sludge thickening building, which eliminated the need for two new digesters and saved the District approximately $22 million. 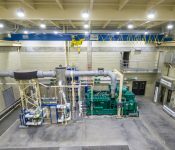 Phase 3 – New Cogeneration Facility: The District was committed to significantly reducing the plant’s reliance on purchased power and using their biogas waste as a renewable energy source. 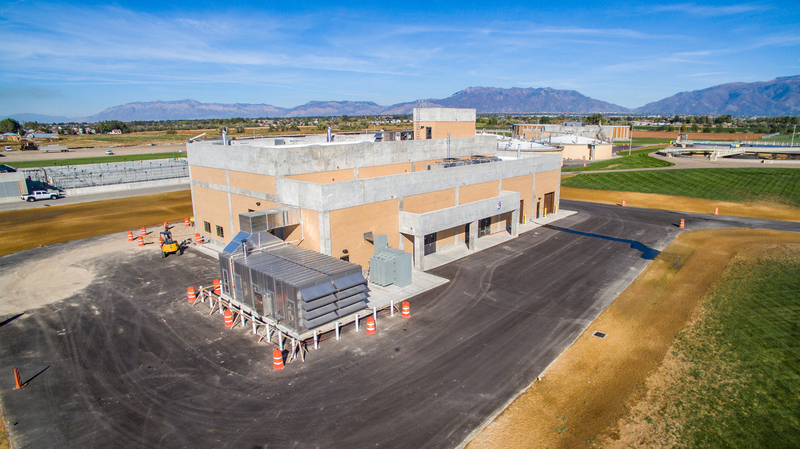 To accomplish the District’s sustainability goals, a new combined heat and power system was constructed along with other process improvements to generate renewable electricity from the biogas and provide thermal energy for process heating needs. The most critical goal and the most challenging aspect of this progressive design-build project was delivering the work without interrupting operations. Constructing new buildings and new systems alongside the existing aging infrastructure demanded significant collaboration with operations staff and complex sequencing to work efficiently. Since most of the plant processes were already operating at or over capacity, backups and unplanned shutdowns threatened permit violations and penalties. With less than a month scheduled for new system integration, impacts were minimized by holding weekly meetings with operators, the plant manager, and the plant superintendent to address risks. The majority of planned shut- downs were performed between 12 p.m. and 4 a.m. when flows were at their lowest rate. Challenging site conditions included high groundwater levels and soft soils that made new construction vulnerable to settling issues where new buildings were to be built directly adjacent to old existing buildings. These conditions were overcome through a settlement monitoring system and the installation of a dewatering system and cut-off wall that resulted in minimal settling. Another complication related to the existing infrastructure was a network of existing plant piping and power duct banks that needed to be accommodated in the design and built around. Using advanced 3D piping software helped identify and eliminate potential piping conflicts. Detailed evaluations for equipment selection were performed to determine the best processes and equipment for ease of integration with their electrical systems. During initial permitting efforts and prior to construction, the local community voiced their concerns over potential impacts the planned facilities would have on the community such as exterior lighting, equipment noise, and odor control. Public meetings, educational materials, web based project information, and videos were used to reassure community stakeholders with information that described why the project was necessary and how it would be conducted to proactively reduce impacts. The District’s expectations for budget and schedule performance were exceeded when construction was completed on schedule and approximately $5 million under budget. Total project cost savings gained through progressive design-build innovation is estimated at more than $30 million, achieved by finding ways to reuse existing infrastructure while delivering uninterrupted operations. These savings included avoiding construction of two planned primary digesters, saving $22 million and reusing existing secondary digester tanks and covers, saving $8 million. 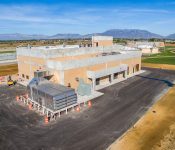 The plant now utilizes 100 percent of the biogas produced to provide power and heat for the plant and allows for future expansion and energy savings from fat, oil, and grease (FOG) waste. In addition, air emissions (NOx and CO) have been significantly reduced allowing the District to remain below the threshold of a major source classification. With recent project completion, the District is now able to provide the community effective, affordable, and environmentally sustainable services.